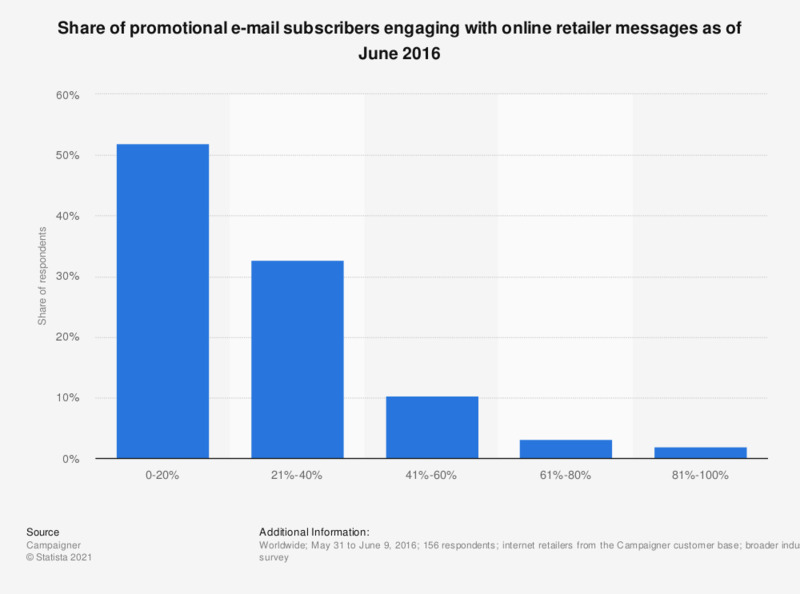 This statistic presents information on the share of promo e-mail subscribers engaging with online retailer messages as of June 2016. It was found that according to nearly 52 percent of online retailers, up to 20 percent of their customers engaged with their initial marketing e-mails. Question: What percentage of new subscribers engage with your first message?